Bored with the same old summertime side dishes? 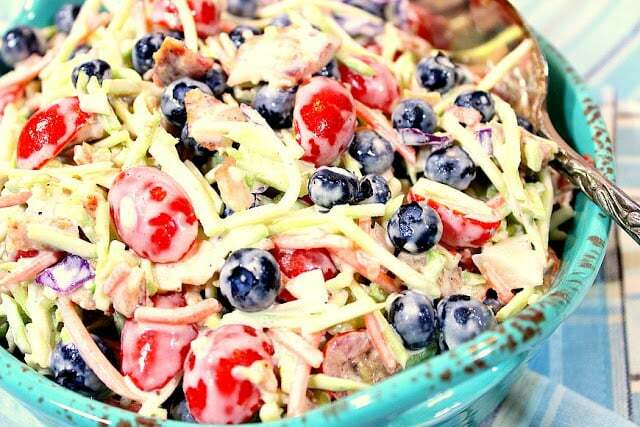 Wake up your taste buds with this Creamy Broccoli Blueberry Slaw with Bacon. It’s a feast for your eyes, as well as your taste buds! Just the other day I posted my recipe for Healthy Homemade Avocado Oil Mayonnaise, which I’ve been making like a mad woman lately because I can’t seem to get enough. 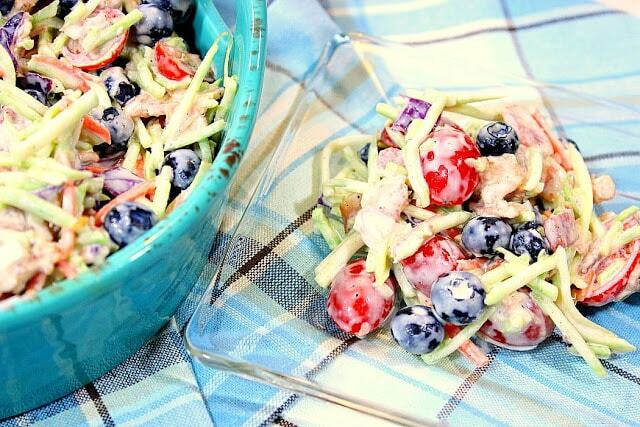 This recipe for Broccoli Slaw with Blueberries and Bacon was developed to take advantage of that mayonnaise, and the results are amazingly delicious! Naturally, making your own homemade mayonnaise is not critical to make this recipe come out all tasty and wonderful. Your favorite brand of store-bought mayonnaise will work too. It’s just that by using store bought mayo, you won’t have the additional health benefits that the avocado oil mayonnaise provides. But I promise you’ll still love the flavor, freshness, and crunch of this delicious salad. *Note – as with all mayonnaise-based salads; always keep chilled, before, during, and after serving. Especially in the hot summer months. -Place all ingredients into a medium size bowl and mix well, but gently, to combine. Chill for at least 1 hour for the flavors to marry. Serve cold. 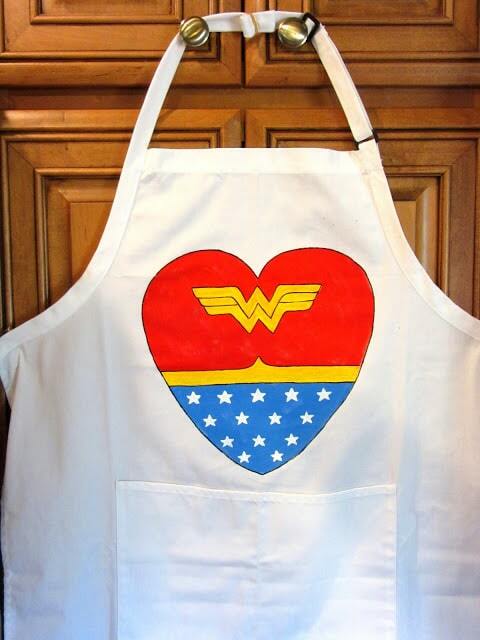 Whatever the reason, the bacon or blueberries, I love feeling like Wonder Woman in the kitchen! 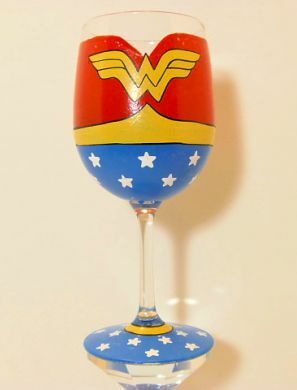 If there is anything I can paint for you, from aprons, to tea towels, to glassware, please don’t hesitate to contact me or visit my shop on Etsy. 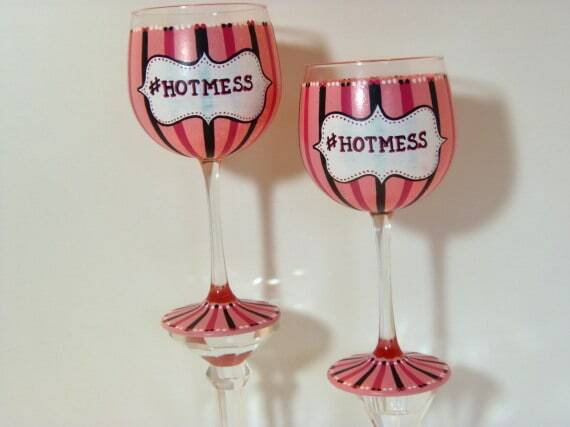 Custom orders are always welcomed and always encouraged. Such an interesting mix of sweet and savory flavors! Sounds great! What a great way to use that fresh mayo you wrote about! 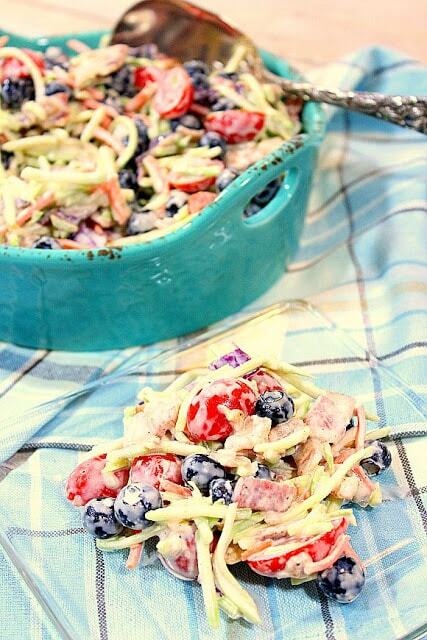 I love broccoli slaw — especially when it has bacon! I was just thinking I need to come up with some new, exciting side dishes! I make the same ones over and over. Love the flavor combo here! 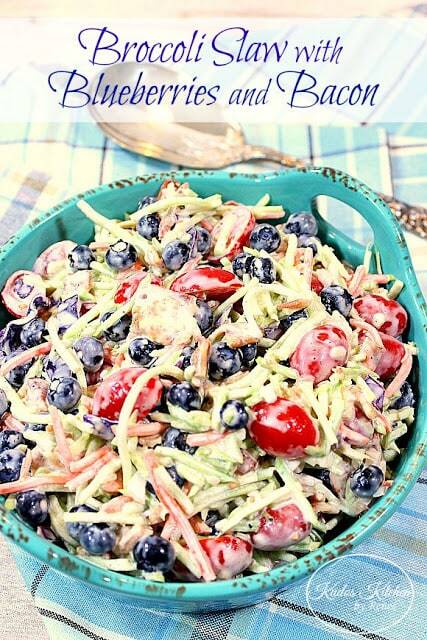 I love broccoli slaw but have never though to add blueberries! 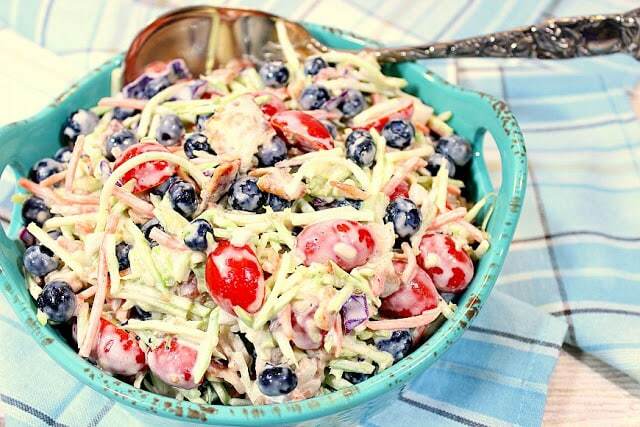 I bet that bright burst of sweetness is the perfect balance to this salad….yum!